Mechanical engineering isn’t for girls. We beg to differ. 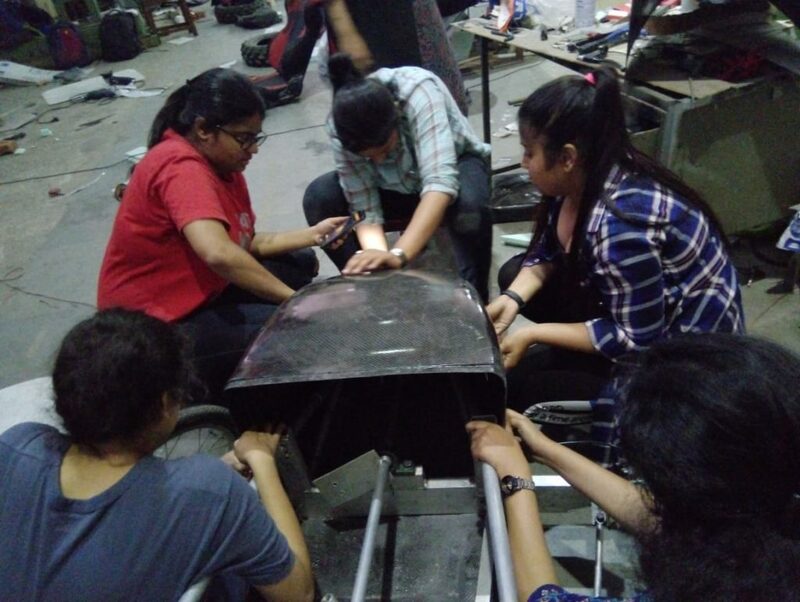 Team Panthera is the official supermileage team of Indira Gandhi Delhi Technical University for Women, Kashmere Gate, Delhi. It is Asia’s only all women supermileage team. This team was formed with the aim of tackling the fuel crisis and rising pollution in the world. A few students came together with the idea of building a supermileage vehicle and hence Team Panthera was created to build fuel efficient vehicles with a futuristic approach to save energy. True to its fierce spirit, the team derives its name from the scientific name of the Indian tiger, Panthera tigris. The team participated in SAE Supermileage, 2016 which was held in Detroit, Michigan, USA. The vehicle was named Iris 1.0 and was a single seater prototype with a chassis made of aluminium and with a Briggs and Stratton engine. The shell i.e. the outer body of the car was made of fiber glass. The vehicle achieved the mileage of 120 KMPL. The team came 7th in the Vehicle Design category and won the Best Overall Team Attitude Award with the cash prize of a 100 USD. The next endeavor was Shell Eco Marathon Asia, 2017, which was held in Singapore. The vehicle, Iris 2.0, was again a single seater prototype vehicle. It employed a Honda GX 35 Lawn Mower Engine. To decrease the weight of the vehicle, the chassis was made of aluminium while the outer shell was made of carbon fiber. Iris 2.0 managed to achieve the mileage of 140 KMPL. The team came back with the Perseverance and Spirit of the Event Award and a cash prize of 3000 USD. This time we’re back with a higher aim and a better car. Team Panthera is building a Battery Electric Vehicle Prototype for Shell Eco Marathon, Asia, 2019. It will be held in Kuala Lumpur, Malaysia from the 29th of April till the 2nd of May. For making the vehicle environment friendly and reducing our carbon footprint, we decided to make Iris 3.0, our vehicle this year, a battery electric vehicle by replacing the IC engine with a brushless dc motor. To tackle the increasing fuel price, especially in India, we are building towards an electricity run future. This also reduces the cost of production as compared to manufacturing an engine run vehicle. The vehicle will be powered by a 48V 20 Ah Lithium Ion Battery. We are using a Lithium Ion Battery Pack as it is lighter than most other battery packs. Our shell, the outer covering of the car will be made of carbon fiber as it is strong, durable, yet lightweight. We want to create an energy efficient, battery electric vehicle, which is incredibly important for a fuel independent future. Our aim is to build a, safer, greener automotive future while breaking all stereotypes concerning women in mechanical engineering, or their lack thereof. 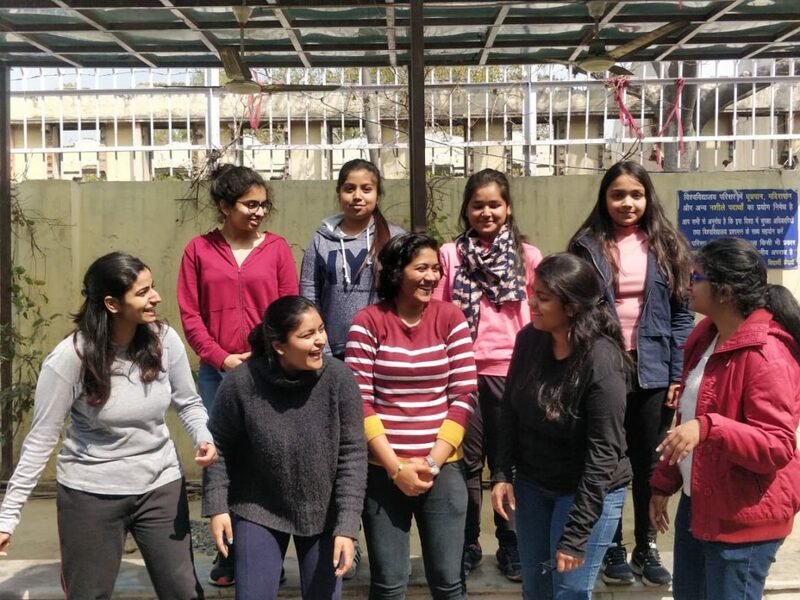 With this goal, 9 Mechanical and Automation Engineering students from India’s only all women government engineering university, have come together, led by Kirti, a 4th year, and team manager, whose resourcefulness and leadership keeps the team functioning like a well oiled machine. In her own words, Team Panthera is her first love and her commitment to the team proves this every day. The team includes five 2nd year students. Aditi Aggarwal, playfully dubbed, The Electric God, she has shown incredible proficiency in the electric department of our vehicle. Mehak Bagri, her clear headed approach to problems make her an invaluable member. Shreya, the driver of Iris 3.0, literally and metaphorically. Her energy drives the team forward and her willingness to work motivates everyone else too. Riya Bijoria, an enthusiastic and passionate member, part of the Wheels and Steering department. Arhantika Khera, an innovative thinker, particularly proficient with heavy machinery and never says no to a challenge. The team also has three 1st years. Gauri Srivastava, always the first to volunteer, she does all her work diligently and without complains. 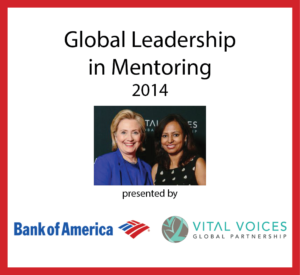 Jhanvi Puri, with a wide network of contacts in a myriad of fields and industries, no work is big or small for her. Sumedha, a curious mind and her can do attitude mean no task is beyond her. In October 2018, we organised a workshop on alternate fuels and basics of automation for the female trainees of ITI, Nand Nagri. From concept to creation. From design to development. We do it all on our own. We don’t shy away from the tough work and we’re not afraid to get our hands dirty. Building a vehicle from scratch is a daunting and exciting challenge. It is also a cost intensive venture, and we are lucky to have 3M as our Platinum sponsor.We are thankful to Shell for giving us a platform to showcase our talent and continue the legacy of building energy efficient vehicle. Our aim: Prepare to compete; compete to win. We’re not here to break the glass ceiling. We’re here to shatter it completely.